The problem we're going to solve today is a common but important one: how can we keep a watch on a critical authorization server and be notified quickly if it stops answering queries? I'm going to show you how to create a Panl "Custom Monitor" and use a server-side timed script to send updates to it. 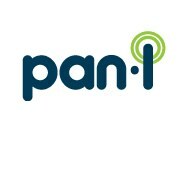 If the updates report "down" or the updates themselves fail then the Panl monitor will send an appropriate alert to the admin's mobile device or email.